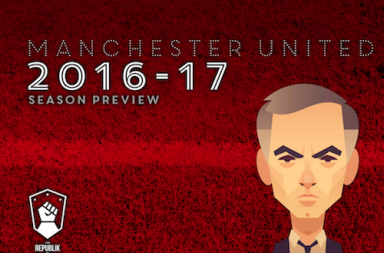 Are Mourinho's tactics stopping United's stars from shining? Jose Mourinho was at his acerbic best when he slapped down TV pundit Frank De Boer for criticising his management of striking sensation Marcus Rashford this month. The Manchester United boss pulled no punches after De Boer said it is a pity that Rashford plays under the Portuguese, who is famed for his conservatism. Mourinho branded De Boer “the worst manager in the history of the Premier League”, ridiculed his record of seven defeats in seven games and said the most important thing is simply to win. It was TV gold, but it hinted at a growing frustration at having to defend his methods in public. Scrutiny has intensified on Mourinho due to the dismal nature of his team’s Champions League exit at the hands of unfancied Sevilla. United only scored once in 180 minutes of football and lost 2-1 on aggregate against a team well outside the top four in Spain. Meanwhile, the noisy neighbours are playing a scintillating brand of football and Pep Guardiola’s men have opened up a 16-point lead over United, with eight games to go. City have scored 27 more goals than United this season, despite conceding three fewer, and many pundits claim that the visionary Guardiola has left Mourinho behind in terms of tactics and approach. United have also scored 15 goals fewer than third placed Liverpool, who have thrilled neutrals with their attacking exploits this season. They now face a battle for the runner-up spot with Jurgen Klopp’s men, and fans are uneasy about being compared negatively to their two greatest rivals. There is said to be a United way of playing – remaining on the front foot, taking risks and eschewing a brand of attacking, free-flowing football that was nurtured under Sir Alex Ferguson – and right now United are not playing it. City embody those traits, as do Liverpool, and even Spurs under Mauricio Pochettino have looked more exciting going forward than United for much of the season. United are clearly progressing under Mourinho, who won the EFL Cup and Europa League last year and has finally got them back in the top four picture after years in the wilderness. But for many fans that progress has come at too high a cost. Parking the bus is a phrase invented for Mourinho teams, so his tactics should not come as a surprise to anyone. His latest media strategy has been to write off doubters as lacking brains, arguing that his team are in a transitional period. But the unrest is growing and it has certainly spread to some of the players. It is hard to imagine an attacking player wanting to play for Mourinho rather than Guardiola or Klopp right now. Man City stars and Liverpool stars typically enjoy more freedom to express themselves, track back less and enjoy more chances in front of goal. 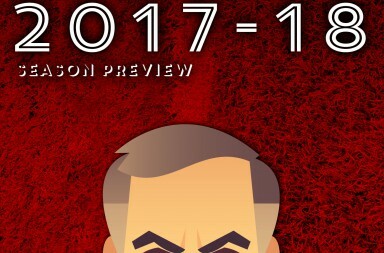 Mourinho has an embarrassment of attacking riches at his disposal – Rashford, Alexis Sanchez, Jesse Lingard, Anthony Martial and Romelu Lukaku, yet you could argue that Mourinho’s tactics are stifling his star players and stopping them from shining. Check the Premier League top goalscorer odds and you will see a straight fight between Liverpool’s Mohamed Salah and Man City’s Sergio Aguero, now that Tottenham’s Harry Kane is injured, and Lukaku and co are nowhere in sight. The Manchester derby on April 7 will once again shine a light on the issue, not least because it could be the game in which City clinch the title. They have already won at Old Trafford this season and they are the clear favourites with the bookmakers to complete the double over the United. It will be a wistful occasion for Sanchez, who came very close to joining City last summer. Instead Arsenal pulled the plug on the transfer and instead he joined United in January. Since then he has flopped, having failed to adapt to Mourinho’s tactics thus far, and he has simply watched on as City have pulled further away. Sanchez isn’t alone, with Paul Pogba also struggling for form in recent months. The Frenchman was a revelation under Antonio Conte and Massimiliano Allegri at Juventus, and he proved such a devastating force that it convinced United to break the world transfer record to bring him back to the club. Yet after a brilliant start he has gone well off the boil in 2018. Mourinho’s tactics are certainly stopping some of his players from reaching their full attacking potential. He has never been a risk taker and he always demands his stars track back, so they are never going to flourish as they would under Guardiola or Klopp, or even under Arsene Wenger. That is not necessarily a bad thing, as long as they are winning games, because winning is all that matters for Mourinho, and fans and players love celebrating silverware. The Portuguese’s approach has yielded 25 trophies, the sort of haul that Klopp, Pochettino or Wenger could only dream of, so you cannot argue with his pedigree. Some attackers have done well under him, mainly combative forwards like Didier Drogba and Diego Costa, but also creative talents such as Wesley Sneijder, Deco, Arjen Robben and Joe Cole. But these players were willing to adapt to his system, and others have rebelled. More attackers could grow disillusioned under Mourinho, who values defensive stability, power and discipline above artistry and risk-taking. They will not care too much if they are winning trophies, but if United find themselves usurped by City, Liverpool and Spurs over the next year or two, it could be time for the club to bring in someone more attuned to the United way. Maybe Jose should get on his bike and go manage a non elite team.. because he hasn't won the champions league with an elite team or been anywhere near it yet and in my opinion we might just be an elite team.. by that I obviously mean generally speaking.. otherwise the way Jose gets us playing these days I wouldn't even call us an average team..
Also that's hilarious.. every top team he's been with has gone on and won the CL after him.. great.. congratulations.. you've solved it! Get rid of José.. bring the next man in and we'll win it! The precedent has been set! He won the league with Madrid. He won the league and champions league with Porto and Inter. He stayed maximum 3 years at these clubs. Must he win both titles at an elite club in 3 years to be a success. Did Pep win the champions league with Bayern Munich in 3 years? Damned if he does, and damned if he does not. When Porto and Inter can't win after he leaves, he destroyed their teams, not that other managers who succeeded him were bad. When he wins, leaves and his successors also win, then he did not leave a good team. his successors were just darn good. Well done. congratulations. You win! Lol, it's not about winning, but if we are to admire Mou for his successes (and use those same successes as a basis for supporting his plans at United) then you have to accept that he has underachieved and even failed, too. That in turn means trying to understand what circumstances lead to both his best and worst moments. If it means looking at things both ways (or "damned if he does, and damned if he does not", as you say), then so be it. Especially so if such circumstances have a tendency to repeat. 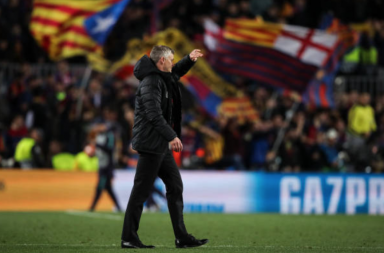 For instance, I recently read a summary of his stint at Real, which said: "Mourinho's final season in charge started well [but] Barca stormed away from Madrid to such an extent that Mourinho conceded the title race was all but over before Christmas ... trail[ing] by 16 points at one stage in February." All amid reports of fallouts with players. Keep reading stories linking us with Vidal. A few years ago i would have been all over that signing like a rash but he's 30 now and "reports" quoting 50 million for the player just sounds excessive. Add to that talk of Bale as well and you can bet the madrid chiefs will expect to recoup their investments. Are we ready to splash 100 million on this guy? Transfer season is going to be really interesting this year. Not gonna lie, Bale in a United shirt sounds epic. Do we need more forwards though, or better performances from the ones we've got? Where does he fit? Also depends what Madrid are asking for, I suppose. Transfers are hard to judge given we really don't have a true appreciation of the value of what we've already got while we're playing this way. Defence is good but looks constantly vulnerable (unsettled selection? ), no real authority in midfield and underperforming forwards. At this rate it's anyone's guess. Exactly. Plus with Bale there's also age and injury factor. He will be 29 in July, and relies on his agility a lot. Vidal will be 31 in May. This is not the kind of policy we want to have I guess.. I'm not sold on Vidal being better than Herrera. Last season Herrera was one of the best midfielders in Europe. We tend to undermine our players and hype up others. Truth be told I wouldnt even take Kroos or Veratti over last seasons version over Herrera. The grass isnt always greener on the other side. Rashford could be as impactful as Mbappe, Shaw could be as impactful as Alba or Rose. They just need the right tactics and trust !!!! Certain players are a reflection of their managers treatment of them and the tactics of the manager. Look at Isco for example. He scored a hat trick against Argentina and after the game called out Zidane !!!! Herrera is the perfect hybrid midfielder, he has everyone's game in one body. He could cover for Matic and Carrick like much of last season, he could cover for Pogba and he can play the No10 role, all at an above average level. This puts us in a 433 mode. Don't get me wrong, I love Herrera, and you're correct about his all-round ability. It's also rare that a foreign player comes in and 'gets' the club and its supporters, showing similar passion - I'd hate to lose that. This season though I've noticed a lot more sloppiness from him, which is unusual since he's a clever/astute player and reader of the game. If he could return to the levels of before, then definitely, ignore Vidal, but it will require renewed focus and gaining the ability to hit the ground running when called upon, all while only playing intermittently. If it carries on like this season, I'm not sure he has a future under Mou. Like I said, hard to judge ATM. I genuinely feel he needs more minutes to get back to his best. Great player and attitude. If we lose him for whatever reason, it would be poor man management from Mourinho. You're absolutely correct when you say "he gets the club"
We've been saying that for a long long time now! Mourinho is failing to get the best out of our players.. that is partly why we want him to go..